I made this creature like 3 months ago, but I had to put off working on it since I was so busy with this last semester. Now that the semester is over I FINALLY finished this illustration. This feathered and scaly guy is called a Selphirock. 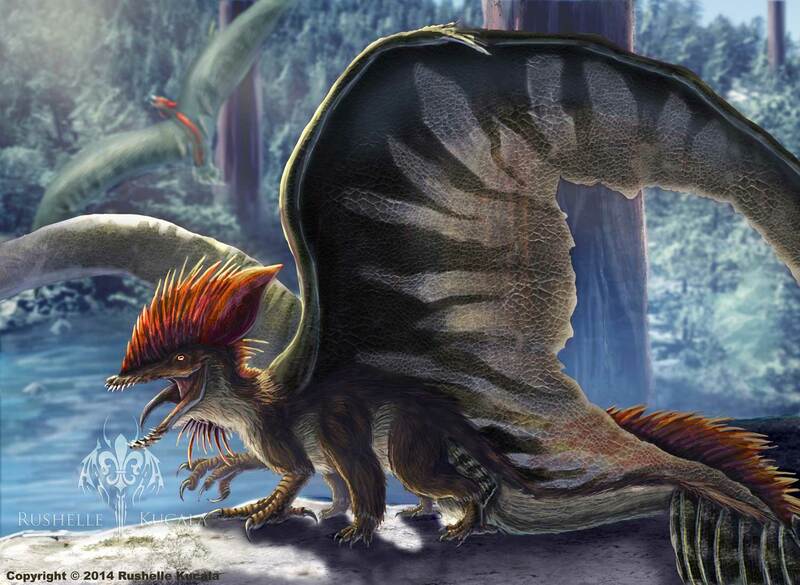 Selphirock are giant bird/reptile like creatures that live in huge, ancient forests. Since Selphirock are about the size of two buses they need to live in forests with trees large enough to support their large size. They live in colonies and build a single massive nest where they share space for their young. The are not known to attack people unless you get too close to them or get near their nests, they are extremely protective of their hatchlings and other nest mates. Selphirock are generally piscivores and use their multiple legs to catch multiple fish in one swoop. These creatures are very beautiful to look at, but keep a safe distance from them!